In 1961, while work was underway for the construction of the new village secondary school in Żejtun, ancient remains were discovered. Archaeological excavations that began at the site in 1964 revealed a large cistern and some water channels. Eight years later, an annual excavation campaign, led by the Museums Department, began and in the course of short excavation sessions that continued until 1976, the remains of a Roman villa were revealed. Various parts of the stone apparatus used in the production of olive oil were discovered, clustered around one room, and constituting the industrial section of the villa complex. The residential area was discovered to the south, and consisted of three adjoining rooms, with floors of lozenge-shaped terracotta tiles. Some of the walls were found to have been plastered and decorated with paint. A second cistern, of cylindrical shape, was uncovered to the north. Other discoveries of note included not only a large quantity of pottery vessels and worked stone fragments but also 44 Roman coins dated from between AD222 and 361. At the invitation of successive school heads, the University of Malta started excavations at the site in 2006 with the intent of assessing, recording and publishing the architectural remains and cultural material from past excavations and data arising from new excavations on site. The excavation is co-directed by Prof. Anthony Bonanno and Dr Nicholas C. Vella and field supervision is provided by Maxine Anastasi, Rebecca Farrugia and Dr Dennis Mizzi. Teaches Classics and Archaeology in the Department of Classics and Archaeology at the University of Malta. He showed interest in Roman villas, as part of Malta’s Classical heritage, since the 1970s when he published an article on their distribution and their share in Maltese economy in Roman times. From 5 to 15 July and from 3 to 14 September 1976 he directed two short excavation campaigns on the site of the Żejtun Villa in connection with two summer schools in archaeology. Is Senior Lecturer and Head of the Department of Classics and Archaeology at the University of Malta. With a team of professional archaeologists, he is responsible for the teaching of fieldwork techniques and recording systems on archaeological excavations. 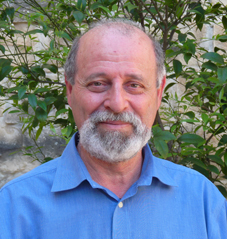 This is the third major research excavation that he is involved in on behalf of the University of Malta since joining the institution in 1999.